The O Antiphons, also known as “The great O’s,” are sung or recited each evening during Vespers (Evening Prayer) in the Church’s Liturgy of the Hours (Divine Office) before and after the Magnificat. They begin on December 17 and end on December 23—the last Vespers of Advent. Evening prayer on December 24 is the Vigil of Christmas. The O Antiphon is also the Alleluia verse before the Gospel at each Mass. The Benedictine monks arranged these antiphons with a definite purpose. If one starts with the last title and takes the first letter of each one—Emmanuel, Rex, Oriens, Clavis, Radix, Adonai, Sapientia—the Latin words ero cras are formed, meaning, “Tomorrow, I will come.” Therefore, the Lord Jesus, whose coming we have prepared for in Advent and whom we have addressed in these seven Messianic titles, now speaks to us, “Tomorrow, I will come.” So the “O Antiphons” not only bring intensity to our Advent preparation, but bring it to a joyful conclusion. 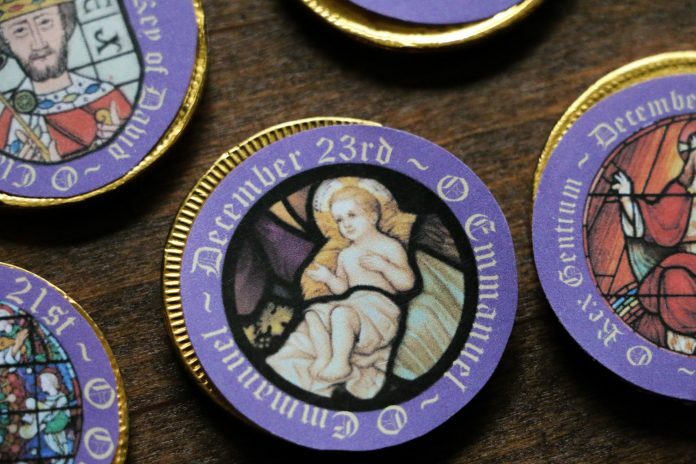 O Antiphon Chocolate Coins are a simple and delicious way to teach the O Antiphons while incorporating an old monastic custom of providing special treats, representing each of the seven “O Antiphons,” on the days leading up to Christmas. 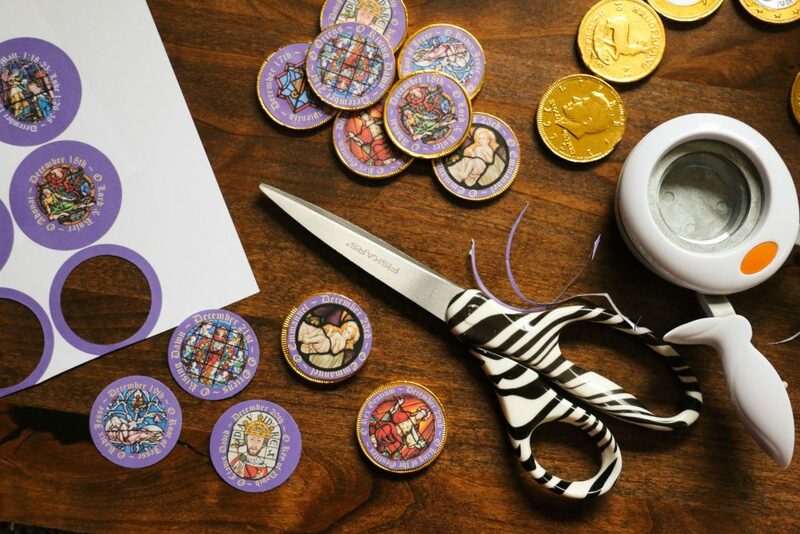 While sharing the symbol and prayer (see below) for each of the O Antiphons, simply have the children attach the O Antiphon images to the chocolate coins using a glue stick. 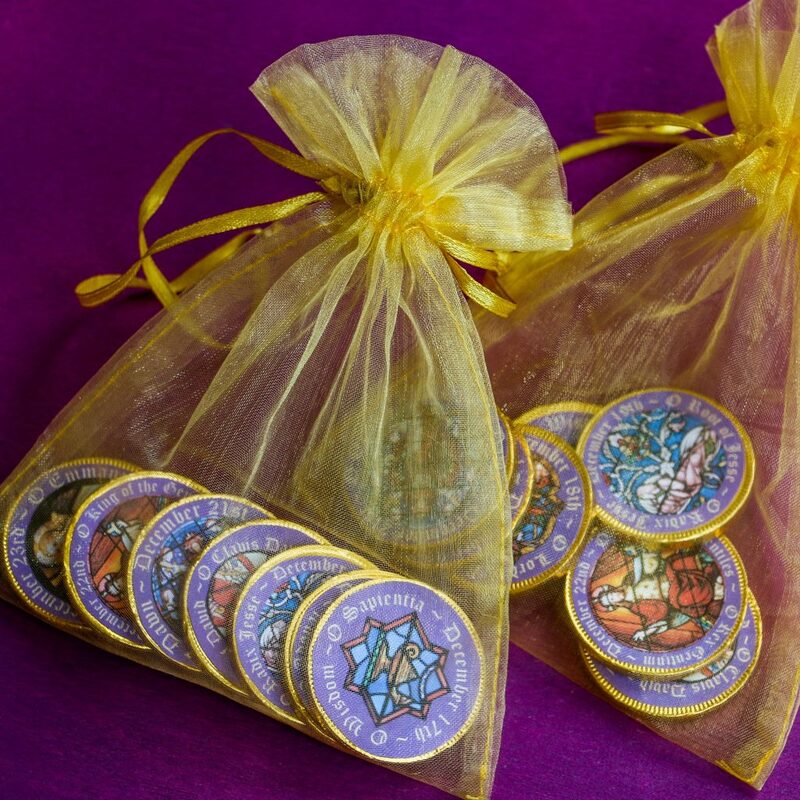 Place the coins in the organza pouch to take home and enjoy—one per day—on December 17-23. O SAPIENTIA (O Wisdom): O Wisdom that comest out of the mouth of the Most High, that reachest from one end to another, and orderest all things mightily and sweetly, come to teach us the way of prudence! O ADONAI (O Lord): O Adonai, and Ruler of the house of Israel, who didst appear unto Moses in the burning bu sh, and gavest him the law in Sinai, come to redeem us with an outstretched arm! O RADIX JESSE (O Root of Jesse): O Root of Jesse, which standest for an ensign of the people, at whom the kings shall shut their mouths, whom the Gentiles shall seek, come to deliver us, do not tarry. O CLAVIS DAVID (O Key of David): O Key of David, and Sceptre of the house of Israel, that openeth and no man shutteth, and shutteth and no man openeth, come to liberate the prisoner from the prison, and them that sit in darkness, and in the shadow of death. 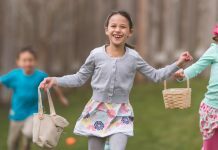 O ORIENS (O Dayspring): O Dayspring, Brightness of the everlasting light, Son of justice, come to give light to them that sit in darkness and in the shadow of death! 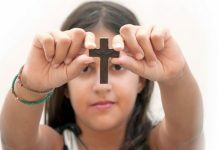 O REX GENTIUM (O King of the Gentiles): O King of the Gentiles, yea, and desire thereof! O Cornerstone, that makest of two one, come to save man, whom thou hast made out of the dust of the earth! O EMMANUEL (O God-with-us): O Emmanuel, our King and our Law-giver, Longing of the Gentiles, yea, and salvation thereof, come to save us, O Lord our God! Jessica Gordon blogs at ShowerOfRoses.blogspot.com and CatholicCuisine.blogspot.com. Image credits: Courtesy of Jessica Gordon. 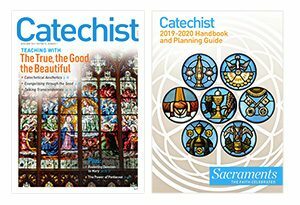 This article was originally published in Catechist magazine, Nov/Dec 2016.